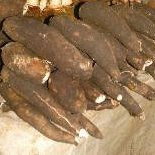 CASSAVA production should remain paramount as a food choice and surplus production ensured to produce fuel, says the Consumer Council of Fiji. This comes as the Asian Development Bank said developed nations should stop paying agricultural subsidies to encourage biofuel production because the payments were making staple food more expensive, according to the Associated Press. "'We feel that the developed countries should seriously rethink the whole issue of biofuel, particularly the biofuel subsidies,'' ADB managing director Rajat Nag said. The interim Government had earlier said there were talks to build a $40million factory to produce ethanol from cassava. Consumer council chief executive Premila Kumar said at present, Fiji was dependent on imported fuel, which is the significant contributing factor to high import bill. "The cassava fuel initiative will provide an alternative to the high importation of petroleum products, which will reduce our importation bill," Ms Kumar said. She said however, that cassava production should remain paramount as a food choice. Ms Kumar said there was ample land available that could be used to plant cassava for fuel and for food consumption. Reuters reported that the European Commission would not start to backtrack on its target of getting 10 per cent of its road transport fuel from crops and biomass by 2020. The January proposals have become increasingly controversial amid soaring world food prices and fears that farm land in developing countries was being diverted from food crops toward others that can be distilled into fuel, according to media reports.